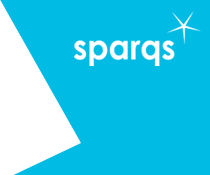 A huge thank you to everyone who attended and contributed to the sparqs Conference on Thursday 23rd March 2017, at Surgeons' Hall in Edinburgh! The day was a great success, with a fantastic turnout of around 200 delegates from Scotland and all over the world! Our delegate evaluations suggest that it was a resounding success, and a reminder of how much outstanding student-led work is underway in enhancing, developing and transforming learning across sectors. Many commented that is was inspirational to see so many break-out sessions led by school, college and university students. Read a few of the comments from the evaluations here. Thank you to everyone who contributed to the success of the conference in terms of delivering keynotes, workshops and presentations, and displaying posters. 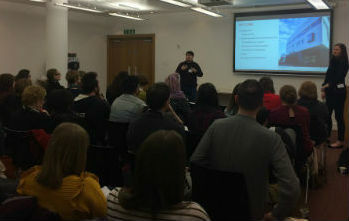 Read the Twitter 'Storify' from the day to get a flavour of how both the Conference and Student Engagement Awards went! We are delighted that the conference was opened by Ms Shirley-Anne Somerville MSP, Minister for Further Education, Higher Education and Science, who set out the Scottish Government's commitment to student engagement and shared thoughts on some key policy areas. The day included presentations from four keynote speakers, covering the key themes in student engagement. Rebecca MacLennan - Programme Manager - Young Engineers and Science Clubs Scotland, Scottish Council for Development and Industry. Rebecca is a former sparqs Associate Trainer. Adam Gajek - European Students’ Union (ESU) Executive Committee member and member of the ESU Quality Assurance Student Experts' Pool. Stewart Hay - former deputy head at Anderson High School in Lerwick, Shetland, and founder of The Global Classroom, an international partnership that allows staff and students at secondary schools across the world to share experiences on learning and teaching. Stewart's presentation also involved input from his Global Classroom colleague, Jan Balac, from the Czech Republic. You can read the speakers' biographies for details about their background and experience. You can view the conference programme for details of the day, which celebrated the impact of the student voice on quality enhancement of the student learning experience and institutional decision-making. The sessions featured both workshops and presentations, some of which were grouped together by topic where they complemented each other. The presentations from the speakers and all of the sessions can be viewed on the Presentations page and further details around each session are detailed in the Workshop and Presentation Outlines document. Accompanying the publication is a video showcasing some of the highlights of the report and the impact of the work and activities across the sector. The video can be viewed below. In a fitting end to the day, the conference was rounded off with the second sparqs Student Engagement Awards! We invited students' associations and institutions within Scotland to submit nominations across a range of six categories. See the Awards webpage to find out who the winners are, including all the shortlists - congratulations everyone! The individual pages for each category give more detailed information about the winning submissions and the winning Course Reps of the Year. Delegates attending from outwith the UK were also offered the opportunity to attend an additional International Delegates’ Day on Wednesday 22nd March, the day before the main conference. The day provided an opportunity to learn about the Scottish context of student engagement, including a visit to the University of Stirling, with some sightseeing and Scottish hospitality along the way! Many thanks to University of Stirling and the Students' Union for hosting! In addition to the international delegates day, we arranged some optional site visits to universities and a sector agency, with the kind help of our University Advisory Group colleagues. A range of visits were available, spanning the week of the conference, for people to sign up directly with the institution/agency. The visits aimed to allow people to hear more about our student engagement and quality processes, whilst enabling visitors to see a bit more of Scotland! Click here to view details of the visits. Many thanks to everyone who hosted a visit!. The conference began at 9.45am (with registration from 9.00am) and closed around 4.45pm. Following a short break, during which drinks and canapés were served, the Awards reception took place. Scotland is increasingly recognised as a beacon of student engagement; specifically the role that students individually and collectively play in enhancing the quality of the student learning experience. 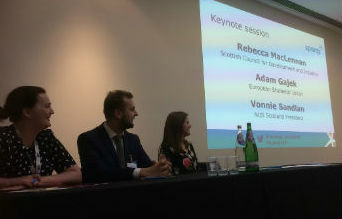 Our 2017 conference provided an opportunity for us all to pause, and take stock of the advances in student engagement that we have made in Scotland, the rest of the UK and internationally as well as recognising the challenges that still exist as we move forward into an increasingly fast changing post-16 education and training environment. The conference was aimed at students, managers and practitioners in colleges, universities and other post-16 providers, from Scotland and beyond and we were delighted with the number of delegates who attended, from both Scotland and all over the world! The conference had four themes, across which the proposals were invited. They were chosen to support our desire to engage with delegates from across the UK and internationally. The themes are Governance, democracy and formal quality processes; Diversity; Co-creation in curriculum design and delivery; and Student-led initiatives. Details of each theme can be viewed and downloaded. Once again, thank you to everyone who attended and contributed to the conference, we couldn't have done it without you!! If you have any queries regarding anything related to the conference please contact David Scott, Institutional Support and Development Manager.